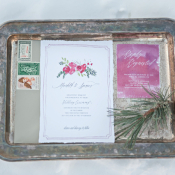 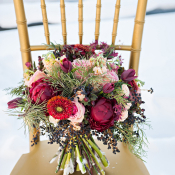 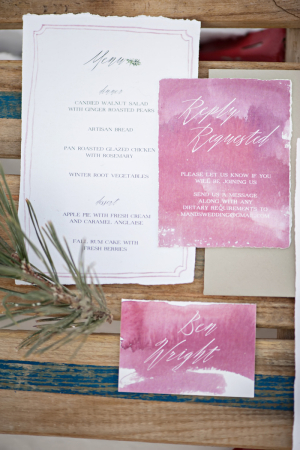 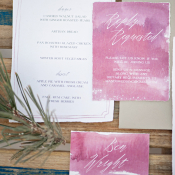 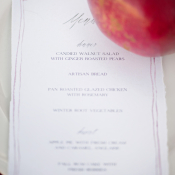 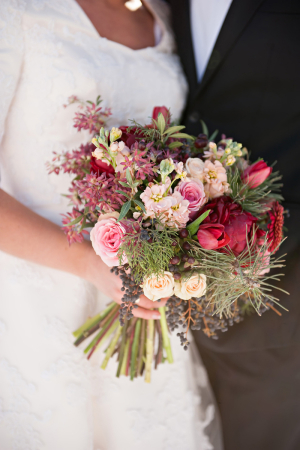 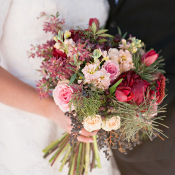 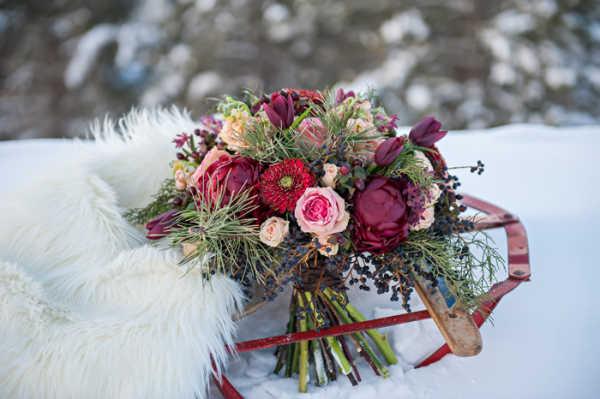 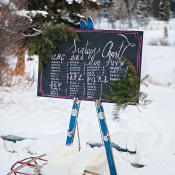 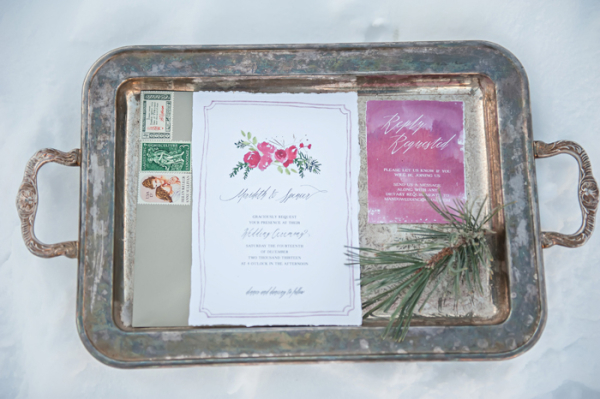 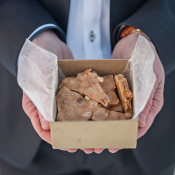 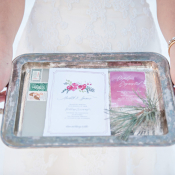 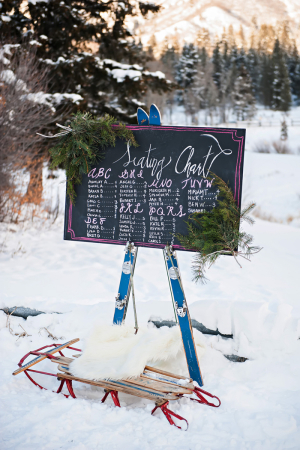 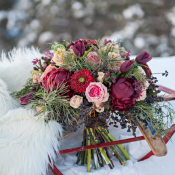 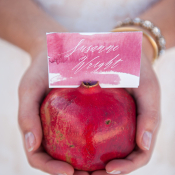 From the moment we laid eyes on the gorgeous floral watercolor invitations from Peter Loves Jane and gorgeous crimson bouquet by Petal Pixie, we knew this winter wedding shoot was something special! 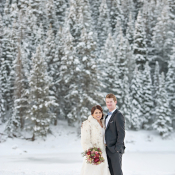 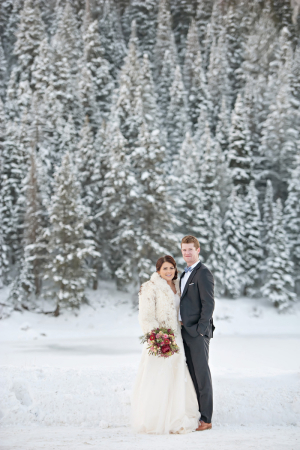 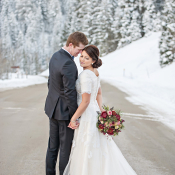 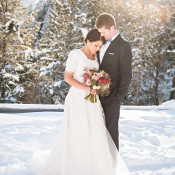 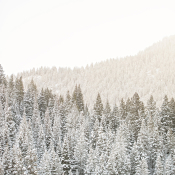 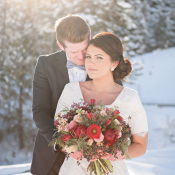 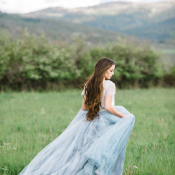 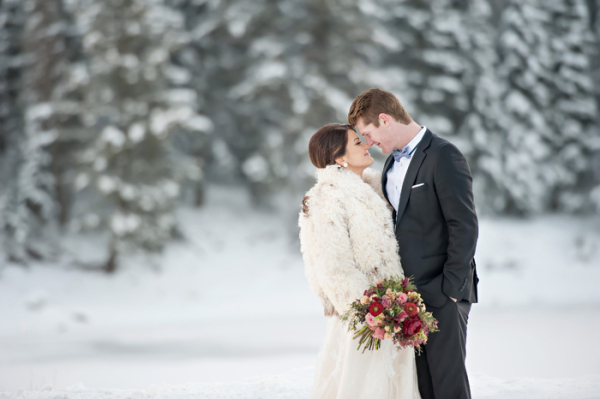 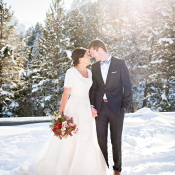 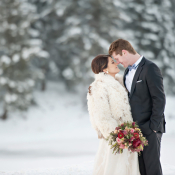 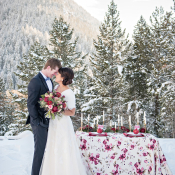 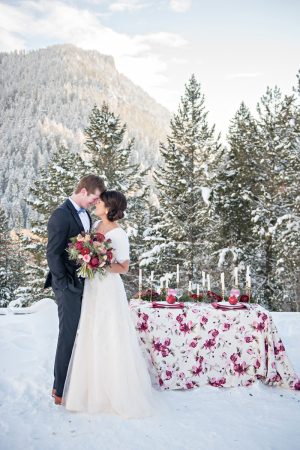 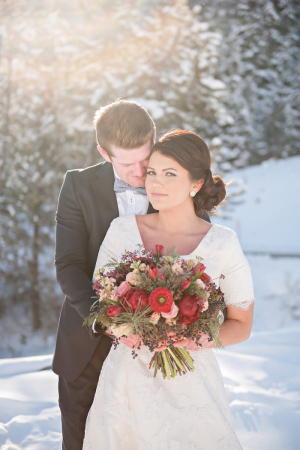 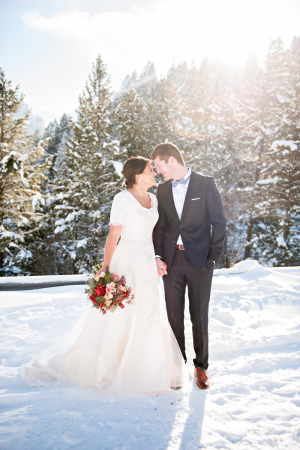 The snow-capped trees of Tribble Fork in Alpine, Utah, are a breathtaking backdrop for these images from Brooke Bakken Photography, with punches of crimson and gold stark and beautiful against the fresh white landscape. 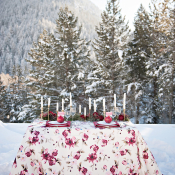 Petal Pixie grouped flowers in shades from pink to garnet and added spikes of pine and evergreen in a lush bouquet and along the floral linen-draped table. 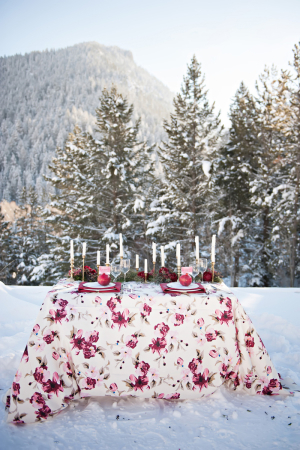 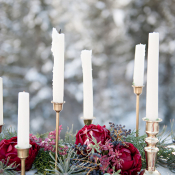 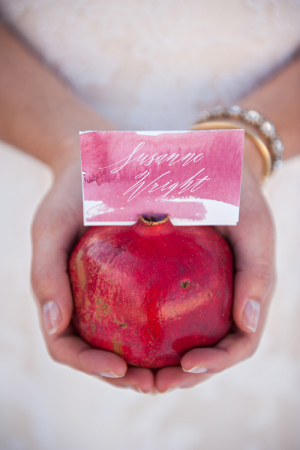 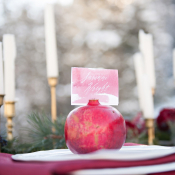 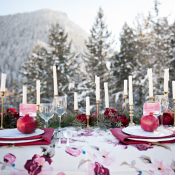 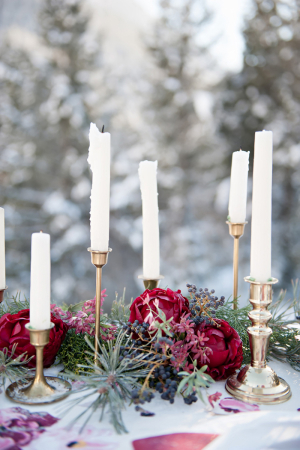 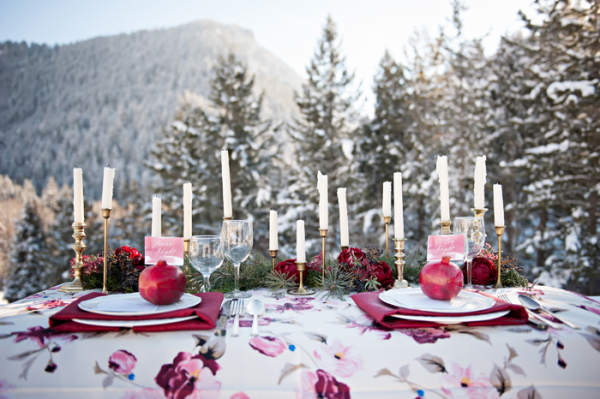 We adore the whimsy of the pattern mixed with vintage brass candlesticks and fresh pomegranates! 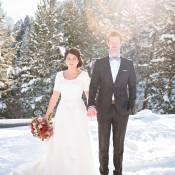 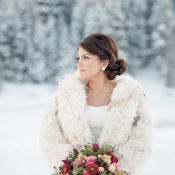 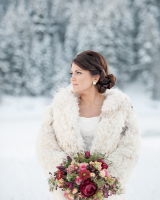 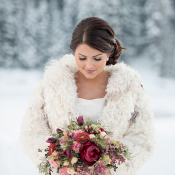 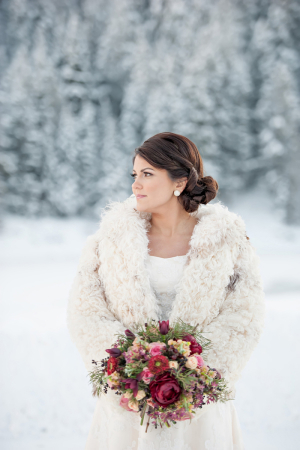 The bride stuns in an Avenia Bridal gown with a fitted bodice, topped with a cream fur coat we’re swooning over! 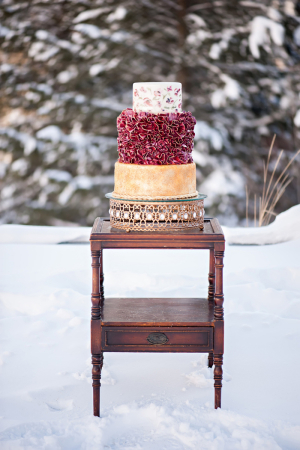 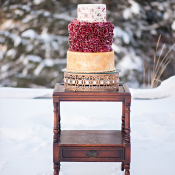 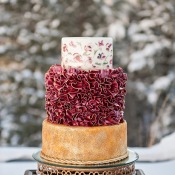 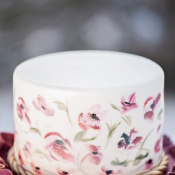 We’re enamored with this entire shoot, finished with an elaborate ruby and gold confection from Cake-A-Licious—divine!